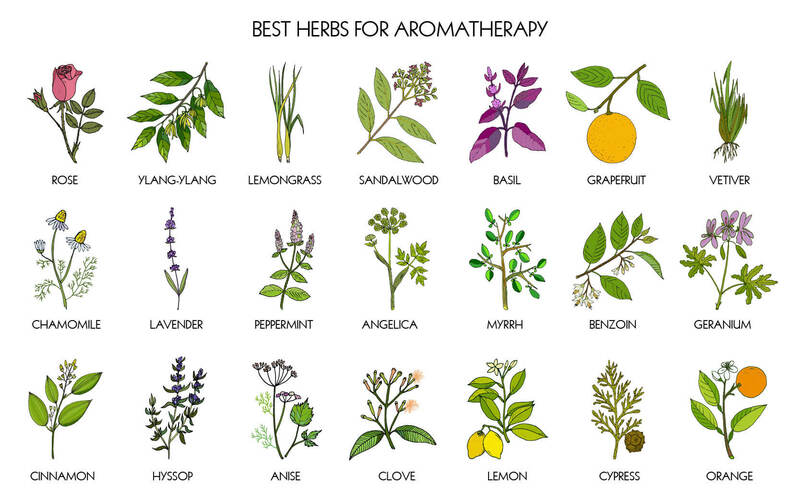 Aromatherapy has been used all over the world for more than 5000 years. Not only can it treat a number of specific health concerns, but this form of alternative medicine benefits the body and skin in so many different ways. Aromatherapy refers to using the fragrance of essential oils, as well as other plant compounds, to bring about various health benefits. It all comes down to your sense of smell, with many people not realizing that this is the most influential of all the senses. Over half of your olfactory receptors are located throughout your body, from your skin and muscles to your lungs and gut. This is how certain scents are able to affect the body in so many different ways. Aromatherapy has both physical and psychological benefits. As more and more people are realizing this, aromatherapy is becoming increasingly popular. Of course, each scent out there will have a different effect. It is important to understand this if you want to use aromatherapy to target specific issues. One of the most common uses of aromatherapy is for relaxation and stress relief. Not only do these oils reduce stress and relax the body, but they also help to reduce feelings of anger and frustration. They lower the activity levels of the sympathetic nervous system, which usually increase when stress is experienced. As you likely already know, stress has so many negative effects on both the body and skin. It causes everything from heart disease and diabetes to acne and dry skin. 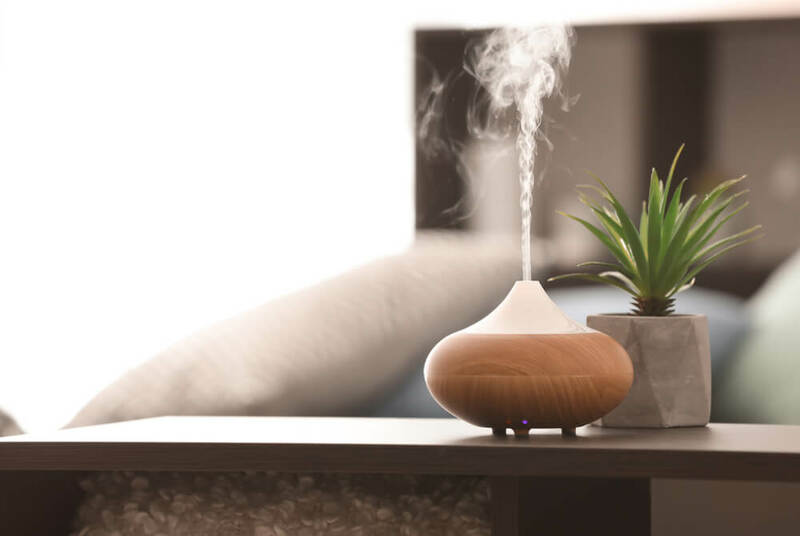 Research has found that aromatherapy is extremely effective when it comes to lowering stress, and therefore enabling a person to avoid all of the health problems that stress brings. Essential oils are often formulated into skin care products, but have you ever wondered why? Well, not only do the plant compounds in the oils contain properties that can directly benefit the skin, but the scent of the oils provide an aromatherapy effect too. When these oils come into contact with your skin, the heat from your body enhances their scent, stimulating a number of positive effects. As always, each oil will have its own effect on the skin. Whether you are recovering from an illness, or are suffering from a chronic skin condition, such as eczema, aromatherapy can help. Certain scents stimulate the body, causing an increase in blood flow. This then means that all parts of your body are able to receive more oxygen, along with more nutrients, both of which speed up the rate at which wounds heal. When used topically, many essential oils also contain antimicrobial properties. This helps to keep the body protected during the healing process, which again speeds the process up. So, which oils are best for healing? No matter how hard you try to keep your body free from toxins, they are still going to be inevitable. Wondering what these toxins actually do when they enter into the body? They can cause everything from acne to cancer to mental health problems. The body has its own detoxification process, and this is controlled by the lymphatic system, which enables toxins to be drained from the body. However, with today’s modern lifestyle, the lymphatic system often ends up overloaded and sluggish, leading to an increased amount of toxins in the body. Certain essential oils are able to stimulate the lymphatic system and make it work more efficiently. Inflammation is the leading cause of aging, and just about everybody has some sort of inflammation within their body. There are so many skin conditions that are caused by inflammation, from acne and psoriasis to rosacea. Many people think that so long as they are getting enough hours when it comes to sleep, this is enough. However, sleep is a little more complicated than this, with the quality of your sleep being just as important as the quantitiy. 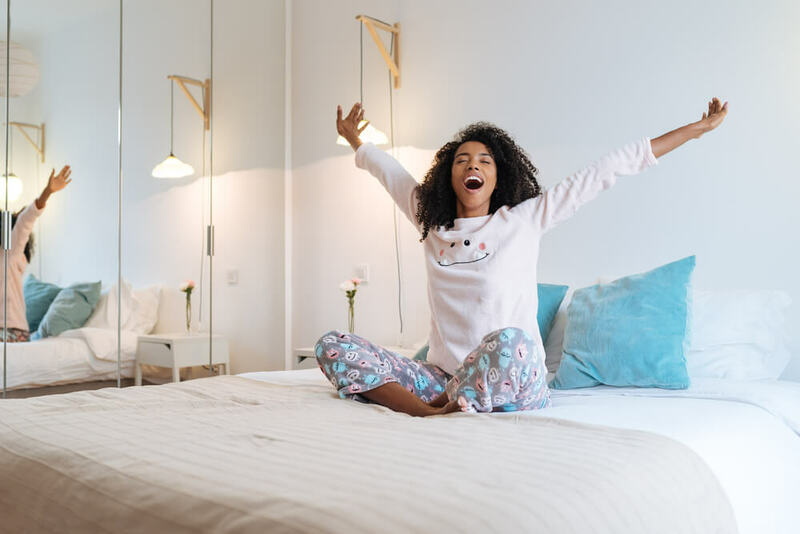 Why is sleep quality so important? During the day, your skin works hard to protect itself from all of the environmental damage that it faces. This means that night time is when the skin focuses on healing and regenerating itself. In fact, the majority of your collagen is produced in the middle of the night. 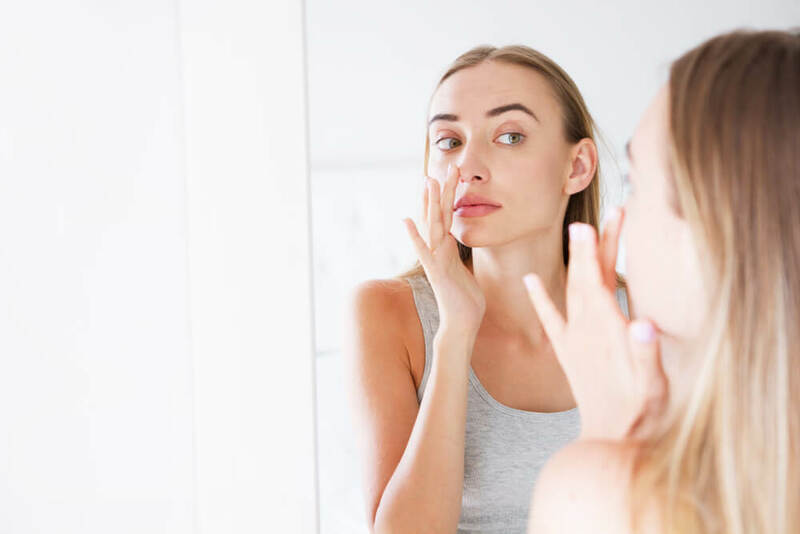 Your skin can only do all of this when your body is in the deep stage of sleep, which is why sleep quality is so important when it comes to skin health. Which essential oils do you need to be using in order to improve your sleep quality? Gut health is so important, partly because the majority of your immune system’s cells are actually located in the gut. This means that a healthy gut leads to a healthy immune system, which then results in a healthier you. Your sense of smell plays a huge role when it comes to digestion. Because your sensory receptors are what tell your brain that food is on the way, triggering your gut to produce the necessary digestive juices. You can use aromatherapy to bring about this same effect, as certain scents will help to kick start your digestive process, making it work so much more efficiently. There probably isn’t a single person out there who would say no to the idea of having more energy each day. This is the reason why stimulants such as coffee, energy drinks and cigarettes have become so popular. However, as you likely already know, those stimulants aren’t going to be doing your body any favors. Instead, give aromatherapy a try if you want your energy levels to experience a boost. Which oils should you be using for this? When trying to lose weight, there are so many obstacles that you will likely come across. From poor digestion to sugar cravings to a simple lack of motivation, weight loss can sometimes be such a challenge. Again, aromatherapy can help with this. Not only will certain oils boost digestion, energy and metabolism, but they will also improve your self-esteem and motivation, making your weight loss journey a breeze. Which oils should you turn to for this? 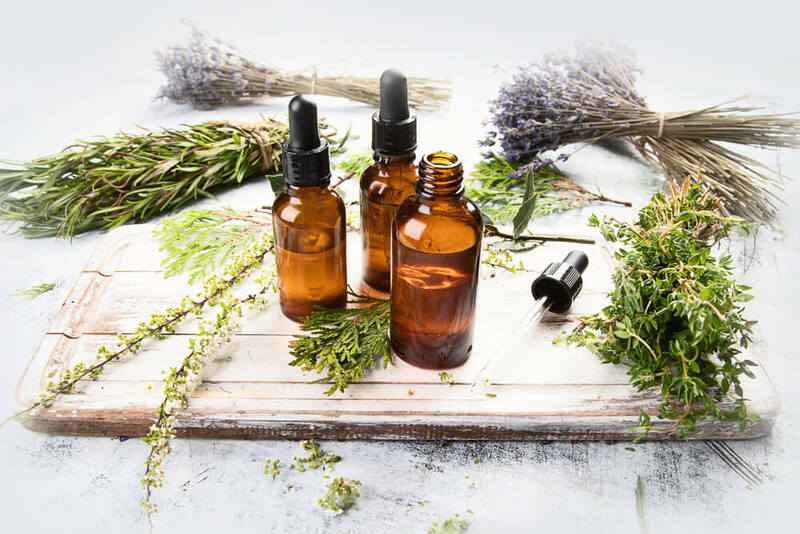 There are several different ways in which you can make use of aromatherapy at home, which is why this form of alternative medicine is so popular. It is easy and convenient to use, and you can mix and match different oils in order to target specific concerns. If you would like to make full use of aromatherapy, you also have the option of visiting a professional aromatherapist. They will be able to guide you when it comes to the best form of aromatherapy for you, as well as the essential oils that would be most useful. Is there anyone who shouldn’t use aromatherapy? Although aromatherapy can help with all of the above, you need to be careful about the oils that you use. Using the wrong oils can lead to an exacerbation of your condition. When it comes to purchasing essential oils, you need to pay full attention to their source. Essential oils are not regulated by the FDA, which can make it difficult to ascertain whether or not a product is of a high quality. A reputable producer is essential, as is an oil that is 100% pure. If the oil you are considering contains any added ingredients, this is a product you should stay away from. Aromatherapy is generally a safe and effective way to improve the health of your body, skin and mind. No matter what issues you may be dealing with, you can be sure of the fact that there will be an essential oil that can help with this, enabling you to better overcome the problems that you are facing. This entry was posted in Beauty, Skin Care and tagged aromatherapy, essential oils, how to use essential oils.